Victoria Morris (nee Kovalsky), 97, passed away peacefully on January 11, 2019 surrounded by family and friends. Born on Staten Island, she grew up in Travis and lived in Westerleigh for many years. 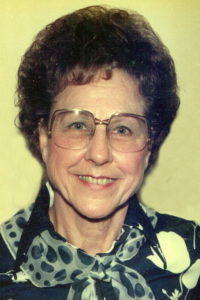 She was a talented seamstress and also enjoyed knitting, crocheting and crafts. Flower arranging, gardening, traveling to many states as well as abroad and cheering for the Yankees were favorite pastimes. Vicky was very proud to have worked for her personal friend, Guy Molinari as a sales agent at the Molinari and DeLillo Real Estate Agency for many years. She was also Past President of the Staten Island Garden Club, a member of Chapter Z PEO Sisterhood as well as a long time member of Immanual Union Church, serving terms as deaconness and trustee. She was honored as Volunteer of the Year at the Staten Island Botanical Garden and received the Proud Pedestal Award for volunteer service from the Federated Garden Clubs of New York State. Most recently she was honored at the annual St. Paul’s Memorial Church’s Flower Festival for her many years of dedicated service. She was predeceased by her husband, Charles Morris, who passed away in 1974. Victoria is survived by her loving daughters and their husbands, Bonnie and Ned Rogers and Patricia and John Podkowsky; cherised grandchildren Amy, Jeffrey, Neil and Douglas and adored great-grandchildren Cassandra, Dante, Frank, Scott, Zoey, Laura and Trent. We are so sorry for your loss. Vicky will surely be remembered for living a full and independent life touching many people along the way. Have an infection in my foot..
I’m so sorry to hear the news. She had a good life and is in a better place now. Focus on all the good times you shared with her. I would like to attend the service but I have a commitment I can’t postpone. I will be thinking of you tomorrow. The passing of a loved one is always a difficult time . We send you our condolences and we are thinking of you.